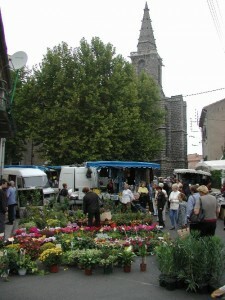 Nestled in the winding streets of the medieval village of Vias (2 km. 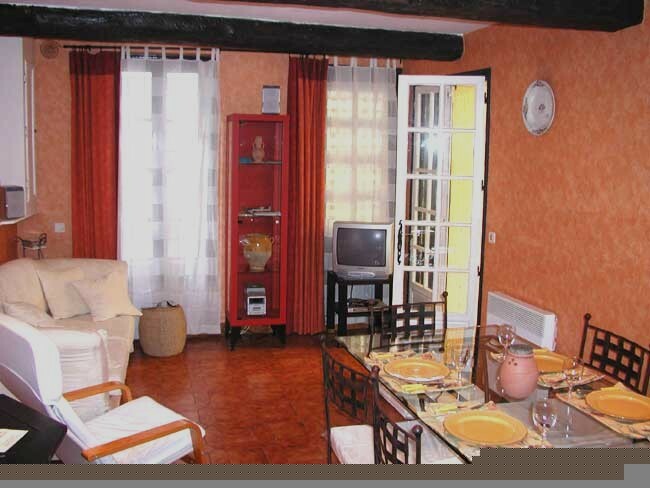 from sandy Vias Beach and 6 km from Beziers-Agde Airport), La Belle Cour is comprised of two delightful early 19th century village houses which have been beautifully restored, retaining original beams and deep stone walls, and now form one property, set around a charming private courtyard. A perfect base to explore the fascinating Languedoc region, the restful little village of Vias is surrounded by rolling hectares of vineyards, yet is just minutes from long sandy beaches to the south, historic towns such as Pezenas and Beziers to the north, and interesting day trips in every direction. All necessary amenities (including the best bakery just around the corner, and restaurants from simple to elegant) are steps away. .
From a narrow village lane, step into La Belle Cour’s flowery and quiet private courtyard with a built-in bar-b-q, ancient stone sink, and comfortable table and chairs – an inviting place to relax at any hour of the day or night. From the courtyard, French doors open into a living room/dining room with traditional beamed ceiling, a cozy sofa and chairs, a TV and DVD player, and a dining table that seats up to 8. On the same floor is the kitchen: a bright and cheerful room with a window opening out on the courtyard, fully equipped with all you need to prepare anything from the simplest to more adventurous gourmet meals! It has a fridge/freezer, gas cook-top and electric oven, microwave, double sink, and washing machine. From the living room, a sturdy spiral staircase leads to the upper floors. On the second floor, the master bedroom has a queen size (160 cm) bed, wardrobe, and shelves for storage. French doors open to a sweet balcony overlooking the courtyard. A bathroom containing shower, tub, towel-warmer, and WC is just outside the door beside the stairway. The spiral staircase continues up to the top floor, where wide windows look over the tiled rooftops of the village, with a view towards Vias Beach. From here you can see beachfront fireworks on summer nights. The upper room, equipped with a twin bed with a pull-out bed beneath, can be used as a sitting room or as an additional bedroom to sleep one or two. From the courtyard, stairs rise to 2 large adjoining rooms, both containing spacious wardrobes, one with a full size (140 cm) bed, and one with a full-size sofa bed, a balcony overlooking the courtyard, and a bathroom equipped with two washbasins, a shower, and wc. children or persons with limited abilities because of the spiral staircase, balconies, or separated bedrooms. The property is unsuitable for animals. Plentiful parking available in adjacent streets and squares, free of charge. The historic and lively village of Vias, first mentioned in a charter of 899,lies between Agde (3 km) and Béziers (12 km) on the Languedoc coast. Surrounded by vineyards, Vias is a circulade (round fortified village), and retains one of its ancient gates of volcanic stone from the 12th century. The melodic bells of the fortified church of St. Jean Baptiste (1394-1424) ring out over the vivacious village, its streets lined with colorful homes, many adorned with carved Italianate doorways of black volcanic stone. 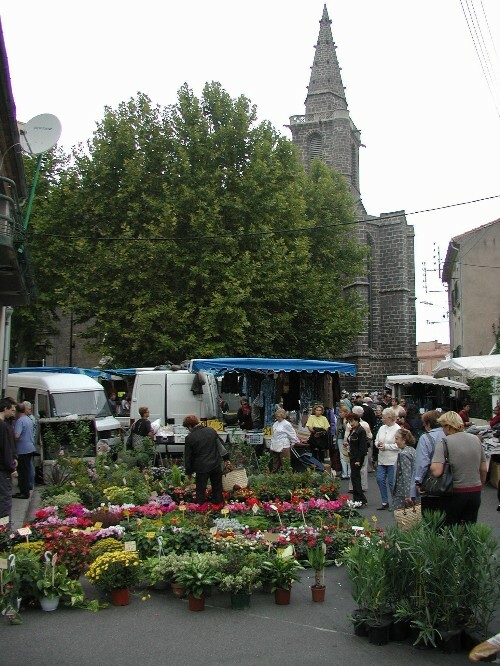 Every Wednesday morning from April to September, and on Saturdays all year, the heart of Vias bustles with market stalls brimming with local and traditional products. Just steps from La Belle Cour are all the essential amenities, including a grocery store, butcher, fishmonger, bakery, pharmacist, post office, several cafes, and Vias’ own wine cave co-operative providing excellent reds, rosés, and muscats at extremely reasonable prices. The historic Canal du Midi, constructed to connect the Mediterranean to the Atlantic in the 1600’s and now a World Heritage Site, crosses the commune of Vias for a length of 5 kilometers. The shaded canal offers holiday delights, whether from a hired boat, or a walk or bicycle ride along its towpaths. The village is 10 minutes south of the major A9 autoroute, which connects the impressive cathedral towns of Toulouse and Narbonne, the unbelievable spectacle of Carcassone, as well as the Spanish border, offering fascinating day trips in every direction. The closest large town, Béziers, has a host of cultural events throughout the summer and is a haven for history buffs with its dominating cathedral and stories of the Cathars. Béziers boasts dozens of restaurants and cafés to choose from , a colorful flower market, and, for those seeking a taste of local adventure, an exhilarating August Féria when the streets are filled with performers, food and produce stalls. Recently voted as the best department in the whole of France, the Languedoc offers everything needed for a perfect holiday. If you’ve never been to this part of France before, then you are in for the most pleasant of surprises. 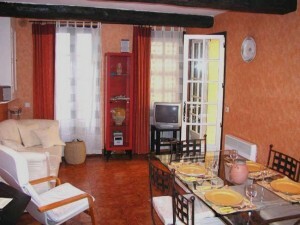 From October through May, the weekly rate is 870 Euros. From June through September , the weekly rate is 1065 Euros. Click our VRBO listing to check availability. Bookings can be made via email, and are Saturday to Saturday only from June through September. For rentals at other times of the year, please contact us. Prices include electricity, heating, gas, linens, and towels (with the exception of beach towels). Payment may be made by check or bank transfer in Euros or US dollars (at current exchange rate - see www.oanda.com) . Click here to see what previous guests have to say about La Belle Cour and Vias.